I read this article and found it very interesting, thought it might be something for you. 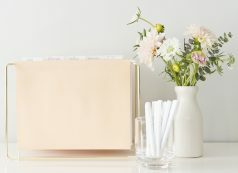 The article is called Your Kids Don’t Want To Inherit Your Clutter and is located at http://modernloss.com/your-kids-dont-want-to-inherit-your-clutter/. One of the biggest gifts my father gave me when he died was leaving behind an organized home. Because having to sort through excessive amounts of disorganized clutter while you’re grieving is excruciating. I know because as a professional organizer I’ve helped hundreds of families de-clutter their homes, many of which included attics, basements, and garages overstuffed with inherited items. Collections of old china. Crates of yellowed photos. Boxes and boxes of bric-a-brac. It’s challenging enough to contend with your own household clutter, but having to sort through and make sense of someone else’s clutter can feel like you’re drowning. 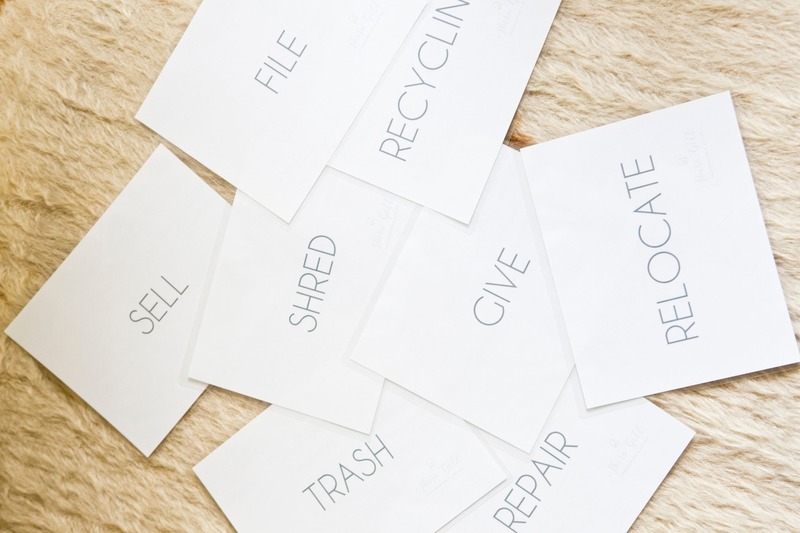 • Review your paperwork annually, and make sure to recycle or shred anything that is outdated or unnecessary. Ask your accountant or trusted financial advisor for current guidelines on what legal documents to keep. Get rid of the rest. Nobody wants to look at your bank statements from 1982. • Clearly label your files in broad categories so they will make sense to someone who is not you. Create a designated file (or file box) for all of your most important life documents. Label it prominently. If the file box is locked, or the files are in a safe deposit box, make sure someone you trust knows how to access them. • Create a comprehensive list of all of your accounts with passwords and contact info for your advisors — financial, insurance, real estate brokers, etc. This is something that will be helpful to you while you’re alive but will be essential for whoever is in charge of reconciling your estate. Do you have precious jewelry, art, or family heirlooms you plan to pass on to your children? I can’t tell you how many times I’ve seen family members try to sort out which of Grandma Esther’s pearls are the real ones or which of the dozens of paintings left in the attic are actually worth something. Create a list of descriptions and/or images to reference, so ensure your kids know what items are actually valuable and important. Tell them where each item is located and whom you plan to leave what so there is no drama or confusion. This is an easy one! Most music and entertainment platforms have become obsolete in the digital age. If you have a library of dusty CDs, DVDs, or even cassette tapes … well, don’t. These items can be bulky and difficult to recycle so digitize them if you haven’t, then donate them as soon as possible. Most households also have drawers full of old cameras, video recorders and electronics that rarely see the light of day. Match up your cords with the electronic devices you actually use and ditch the rest including the random cords and accessories. Do you have 25 mismatched mugs? Are you storing dozens of reusable tote bags or maybe three kitchen appliances that all do the same thing? Spoiler alert: Your kids don’t want to deal with any of them. Review your household items and streamline. Ditch anything that’s broken, outdated, or unused. If you have duplicates, choose the ones that are in the best condition and donate the rest. Your children will thank you. Here’s what I want to leave my kids: one clearly labeled bin filled with the memorabilia that is truly meaningful to me. One. Bin. Here’s why: I don’t want my daughters to have to sift through an overstuffed basement wondering what I cared about or what they should hold on to. I want to make it as easy as possible for them. Also, I truly believe that the less you keep, the more meaningful it becomes. Once you edit and organize your memorabilia down to your most treasured essentials, store the treasures in waterproof, labeled, airtight bins. Cardboard boxes disintegrate and get dusty over time, and nobody wants to sift through old boxes filled with cobwebs. Bonus: Do your kids a favor and help them to thoughtfully curate their own memorabilia now. One or two boxes of the most cherished treasures is much more manageable and meaningful, than dozens of them. One day all of it will be passed back to them, and most adults don’t want to care for and store heaps of childhood mementos — even their own. Feeling overwhelmed by the work ahead? Start with small, bite-sized projects. A drawer. A shelf. A bin. Remember, it’s never too early (or too late) to start streamlining your home. A little better is still better, and any work you put in now will make your kids’ lives so much easier later. Shira Gill is the founder of Shira Gill Home, a lifestyle consultancy with a “less is more” philosophy. She offers on-site and virtual home organization, as well as online resources and inspiration to help you design a clutter-free life. Follow Shira on Instagram or her blog for weekly tips and inspiration.